Dawnbreaker is a Daedric artifact created by the Daedric Prince Meridia. It was forged "in a holy light that breaks upon" the Prince's foes. In appearance it is an ebony longsword containing a distinctive light emitting crystal in its cross-guard known as the Dawnstar gem. It was created with the intention of "burning away corruption and false life". As such, it is particularly effective against Meridia's "foes": this primarily applies to the undead, although its powers can also be used on Daedra and werewolves. Dawnbreaker is known to deal magical or fire damage to those it strikes, along with additional damage to the Prince's foes, sometimes knocking them to the ground. When an undead creature is killed by the weapon, there is a chance that it will cause a fiery explosion, burning all other undead in its radius and causing them to flee. This explosion can prove dangerous if the wielder is also undead, such as a vampire. Those who possess Dawnbreaker are sometimes known to do more damage with mundane weapons. During the time of the Planemeld, the Fighters Guild was commissioned to destroy Dark Anchors sent to Tamriel by Molag Bal. The highest ranking members were given the power to summon Dawnbreaker in the midst of battle to aid them in fulfilling this contract. 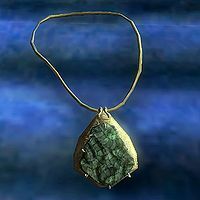 Dawnbreaker was subsequently given to Darien Gautier, the Vessel of Meridia, to be used in his fight against the Court of Bedlam during the cult's assault on Summerset Isle circa 2E 583. Darien was repeatedly thwarted by the triad of Daedric Princes leading the cult, and was eventually captured by Mephala and hidden deep within the Spiral Skein. His connection to Meridia was severed when the triad invaded the Colored Rooms, but not before Meridia managed to alert the Soulless One of Darien's location within the Spiral Skein. Darien was rescued by the Psijic Order and brought to Artaeum, where he aided the Order in entering the Evergloam in search of the Heart of Transparent Law. The group succeeded in locating the Heart—within the chest of Ritemaster Iachesis—but in doing so alerted the triad of Princes. Darien used the power of the Dawnbreaker to hold back the forces of Mephala and Clavicus Vile while the two fought for possession of the Heart, but both Princes were banished from the realm when Nocturnal herself arrived to claim the Heart. When Darien attempted to use the Dawnbreaker against Nocturnal in her own realm, she claimed the sword as well and corrupted it with shadow, now calling it Duskbringer. It was later given to Veya Releth, Nocturnal's earl and mortal champion who aided her in taking control of the Crystal Tower. Veya used Duskbringer to carry out Nocturnal's will on Summerset. She used its dark power within the Cathedral of Webs to evade capture, freezing Earl Leythen in shadow when he attempted to confront her. Veya also wielded the sword in a final battle within the Crystal Tower, where she was slain by Darien Gautier and the Soulless One. After her defeat, Nocturnal attempted to intervene to stop the advancing heroes, but Darien was able to repel her darkness by using Meridia's power. 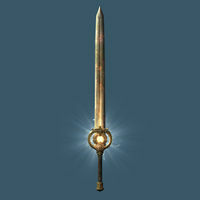 As the last Light of Meridia, Darien then sacrificed himself to remove Nocturnal's corruption and restore Dawnbreaker. The Soulless One was able to use the Dawnbreaker to ascend to the top of the Tower and hold back Nocturnal's forces long enough to plunge the sword into Transparent Law, using its divine energy to repair the crystal. Once repaired, the Crystal Tower's innate defences were enough to banish Nocturnal, ending her plot to achieve infinite power. At some point, Dawnbreaker was brought to Meridia's temple at Mount Kilkreath in Skyrim. In 4E 201, a Breton necromancer named Malkoran defiled the temple, and began trapping the souls of dead soldiers in the ongoing Stormcloak Rebellion. He used Dawnbreaker's power to fuel his profane magic, which greatly offended the Prince. In response, Meridia summoned the Last Dragonborn to Mount Kilkreath to cleanse the temple ruins and claim Dawnbreaker. 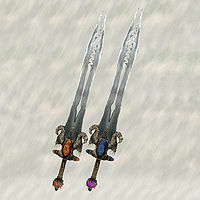 Dawnfang and Duskfang (also Dawnfang Superior and Duskfang Superior) are differing names for an intricate Akaviri "blood drinker" longsword. The pronged, jewel-encrusted sword has a handle like golden snakeskin and is enchanted to change appearance based on the time of day. The sword transforms into Dawnfang during the day, when it has orange and red gems and causes fiery damage to those that it strikes. It transforms into Duskfang at night, during which time it has blue and purple gems and causes frost damage. This transformation results in the blade becoming instantly repaired and recharged. The blades also require "nourishment" after every transformation: if twelve enemies are killed with the sword over the twelve-hour period, the next transformation will result in the Superior variant. Dawnfang Superior can absorb the health from those that it strikes, while Duskfang Superior drains their magicka reserves. The blade was originally forged in Akavir by the Tsaesci. It somehow made its way to Tamriel, where it ended up inside a metal box in the depths of the undead-infested Ayleid ruins of Trumbe, in the rugged highlands of the Gold Coast. In 3E 431, the box was looted from the ruins by a small band of adventurers. The blade was then claimed by the Orc warrior Grommok gro-Barak, who is responsible for giving the artifact its various names. Grommok quickly discovered the sword's unusual enchantments, and reported hearing a voice in his head counting each kill he made with the sword. Following the sword's discovery, the adventurers departed to explore the area around Niben Bay. Around two years later in 3E 433, Sheogorath opened a portal to the Shivering Isles in the center of the bay in search of a mortal champion. The Champion of Cyrodiil entered the realm, earning citizenship by killing the Gatekeeper of the Fringe. Without the Gatekeeper guarding the Gates of Madness, the Isles were left open to sane mortals. It was at this time that the group of adventurers entered the realm. At the command of Sheogorath, the facility of Xedilian was restored to working order, and began to magically attract "unwanted visitors". Grommok's group were the first to fall victim to the restored facility, and all three members were either killed or driven mad by the various traps within. The Champion of Cyrodiil, who oversaw the entire procedure, was then given the artifact after it was taken from Grommok. 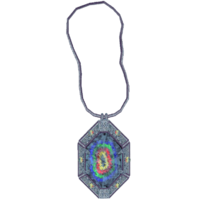 The Talisman of Abetment is an amulet crafted in an identical style to Dawnfang and Duskfang. It was similarly taken from the adventurers after their doom in Xedilian, but nothing else is known of it. A fearsome vampiric blade known as Bloodthirst was seen circa 4E 175 and was visually identical to Dawnfang. It was known to have an unquenchable appetite for blood. Similar to Dawnfang, it can absorb the health of those it cuts and can self-repair. However, Bloodthirst does not transform at night. Denstagmer's Ring is very mysterious. Almost all that is known about it is that it grants the user protection against various types of elemental harm. Even the name Denstagmer is a mystery. The Nerevarine reportedly found the ring on Vvardenfell in 3E 427. The Draconian Madstone is an ancient Akaviri amulet said to grant the wearer protection from disease and poison. For thousands of years, it was lost in the ruins of Pale Pass. In 3E 433, Countess Narina Carvain of Bruma commissioned an expedition which recovered the Madstone, and it became the pinnacle of her large collection of Akaviri relics. 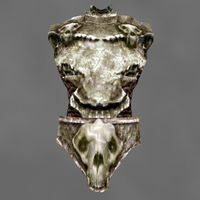 The masks of the Dragon Priests are strange artifacts created by the dragons in the Merethic Era. The highest ranking priests of the Dragon Cult were granted magical masks that defy the laws of time and possess powerful enchantments. The individual masks are made of varying materials, and each bears the same name as the Dragon Priest that possessed it. The names are in the dragon language, and can be translated. The number of masks in existence is unknown, and some are apparently older than others. The masks were buried with their owners, until in 4E 201 the return of the dragons caused many of the undead Dragon Priests to wake from their slumber. 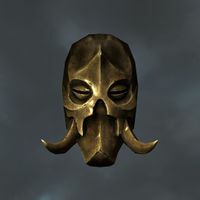 Many of the masks were then taken from the Dragon Priests by the Last Dragonborn. 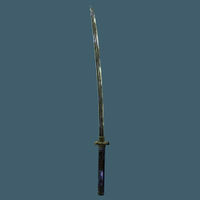 Dragonbane is an Akaviri katana which is especially effective against dragons. 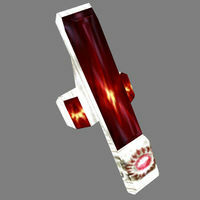 Magical lightning flickers across the blade and helps make it effective against other types of enemies as well. 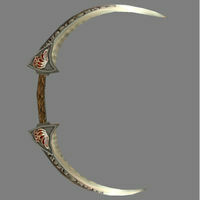 Dragonbane was a weapon of the Blades, perhaps dating back to the time of the Dragonguard. When the Blades were forced to seal off and abandon their ancient stronghold in Skyrim, Sky Haven Temple, the blade was left within. In 4E 201, the Last Dragonborn unsealed the temple and claimed the blade. The Dragonbone Mail, or the Dragonbone cuirass, is thought to be one of the greatest artifacts any collector or hero could own. While many fine pieces of armor have been constructed with real dragon bone, the Dragonbone Mail was enchanted by the first Imperial Battlemage, Zurin Arctus, in the early years of the Third Era. It's described as a truly exquisite piece of work, and many have sought to possess it. The properties of the cuirass allow the wearer to resist fire, and to damage an enemy with a blast of fire. Little is known about the involvement of Zurin Arctus with the enchantment of the cuirass, but an old tale speaks of a debt that he owed to a traveling warrior. Like the warrior, the Dragonbone Mail never stays put for long. The Nerevarine reportedly recovered the cuirass from a ruin in Morrowind and sold it to the Mournhold Museum of Artifacts in 3E 427. The Dreamworld Amulet is a dangerous magical device created by Henantier of the Mages Guild in 3E 433. It allows the wearer to enter their own mind and control their dreams. Henantier designed the amulet as an unsanctioned experiment, with the intent of bettering himself by using his dreams as a personal training ground; however, he became trapped in his dreams and was unable to wake up. Kud-Ei, the chapter head of Bravil and a good friend of Henantier's, recruited a stranger to help rescue him and avoid repercussions from the Mages Guild. The stranger used the amulet to enter Henantier's Dreamworld and helped him recover his patience, courage, resolve, and perception, which allowed him to realize his situation and wake up. With the death of the dreamer, all those who share the dream die as well, making the amulet very dangerous and unlikely to see further use. This page was last modified on 19 January 2019, at 19:47.